Family caregivers devote their entire life to ensuring their loved ones have the best life possible, and they deserve recognition. Every November, family caregivers are nationally recognized for their hardwork and dedication during National Caregiver Appreciation Month. 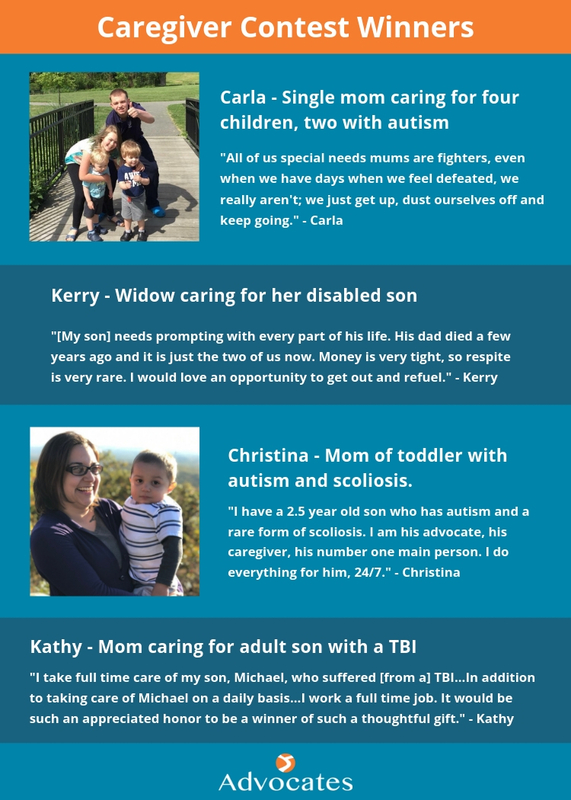 In honor of National Caregiver Appreciation Month, Advocates hosts a contest to support family caregivers. A family caregiver can be nominated by a friend, colleague, or family member to receive a special relaxation package that includes a restaurant, spa, and Visa gift cards.